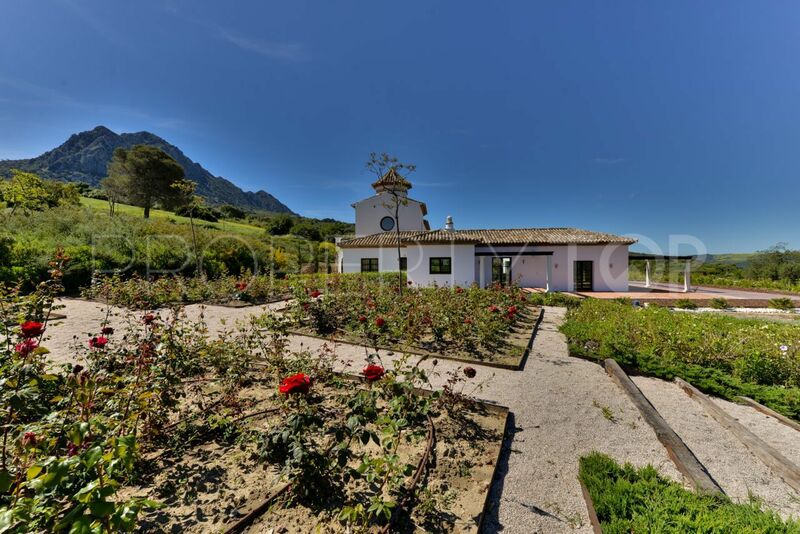 New built ‘Cortijo-style’ country property for sale in Gaucin, inland Andalusia. 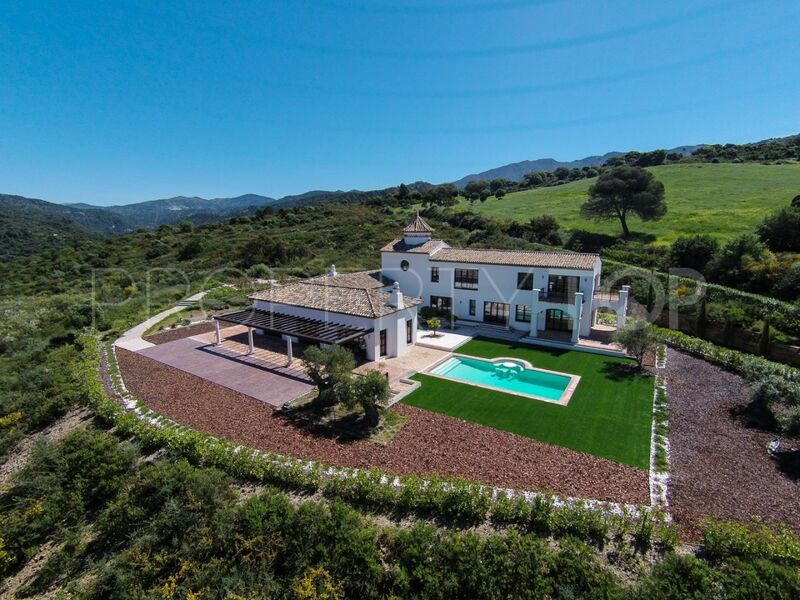 The house is situated on a 25,000m2 plot (suitable for equestrian use) in between Casares and Gaucin and has spectacular views to the Genal valley and the white village of Gaucin. 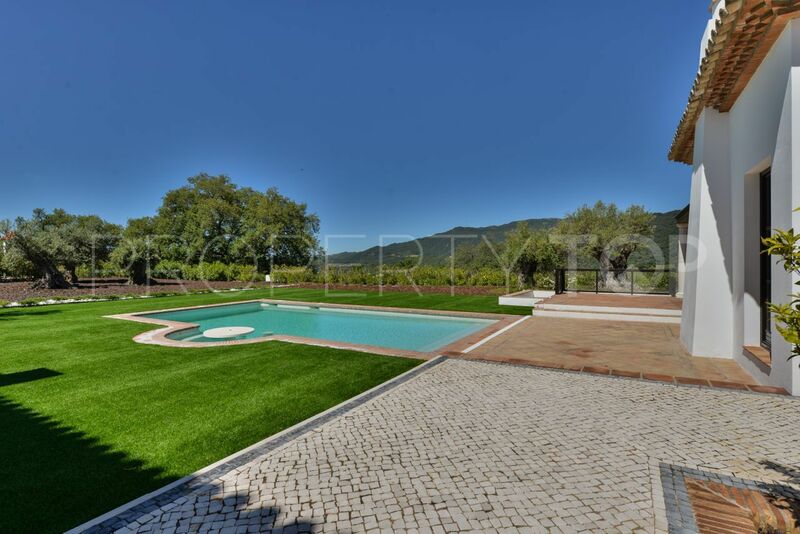 The property is ideal to keep some horses, there are excellent riding areas. The plot includes 2 natural water wells. 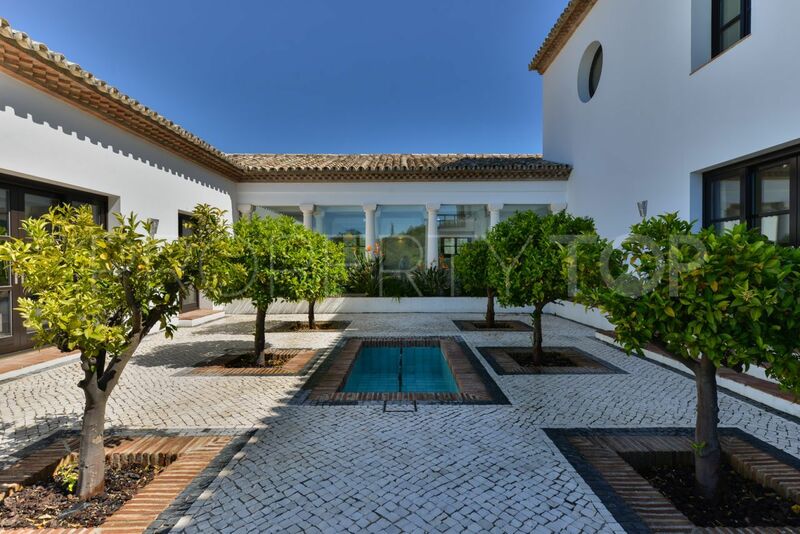 Designed on 2 levels around a courtyard with orange trees and a fountain and blending traditional Andalucian architecture with ultra-modern design. 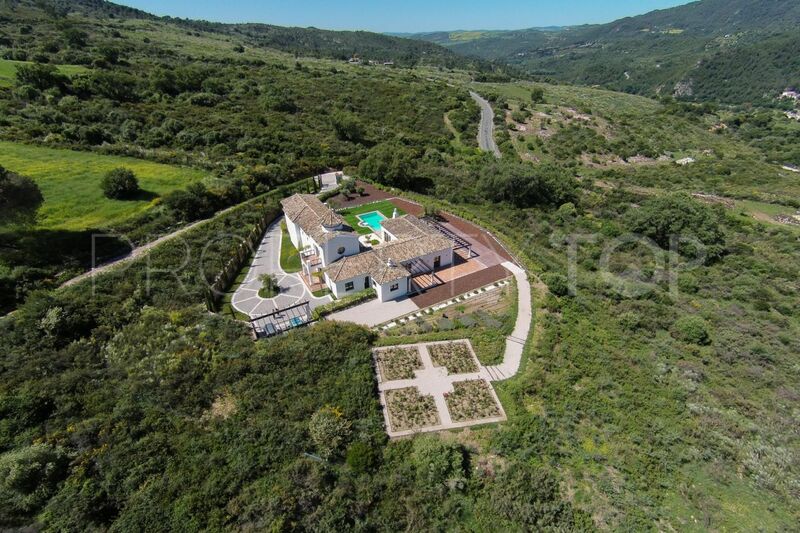 With easy access from the Casares to Gaucin road just 15 mins from the coast, the entrance to the property features a charming hand-laid stone driveway leading around the side of the house towards the main entrance, where a roundabout provides easy turning space for vehicles and a covered carport area has space for 2 cars. The ground floor of the property opens on to a spacious double-height hallway, with a beautiful circular hardwood-clad turret. 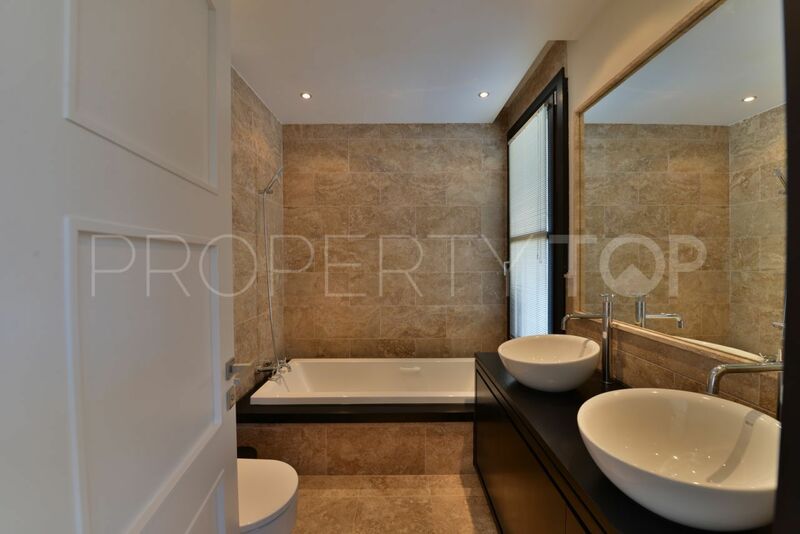 Immediately to the right, there’s a large study and a separate fully-appointed guest WC. 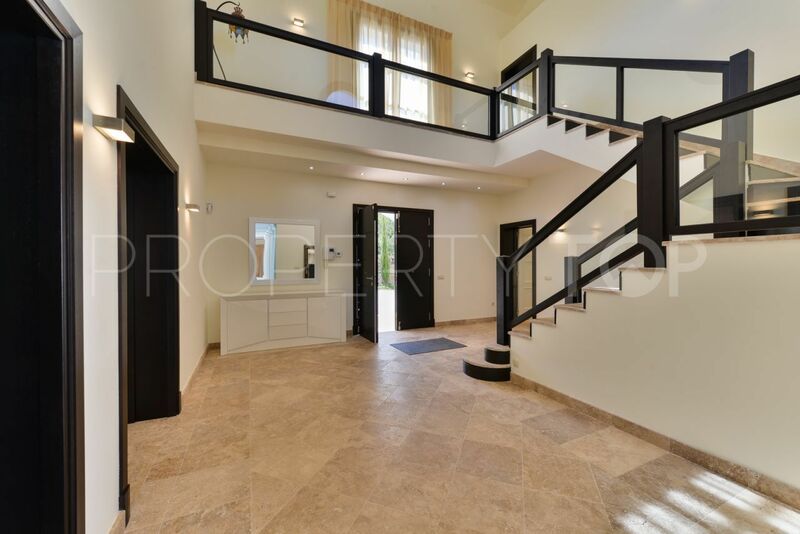 This entrance hall provides access to the entire house, which is blessed with marble floors throughout. 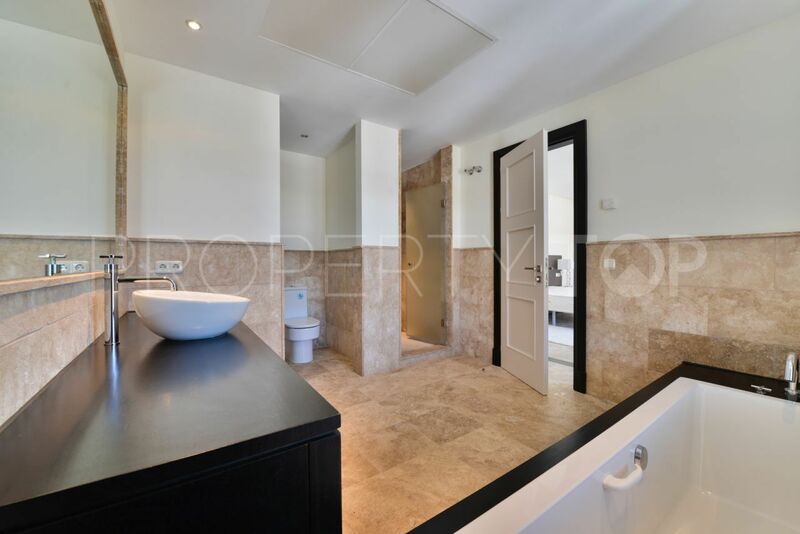 To the left is a long passageway leading to 3 sizeable bedrooms, each with ample built-in cupboard space and private en-suite bathroom facilities. Just beyond the entrance hall and through a set of full-height glass doors are the property’s kitchen and an independent dining room. The spacious kitchen comes fully-fitted and equipped with stainless steel hi-tech appliances, including a unique extractor fan designed to rise up out of the central work island to extract air downwards and out of the property underground. The dining room is large enough to seat up to 12 guests comfortably and overlooks both the rural countryside through large pane windows and the property’s charming orange blossom courtyard. Another of the most stylishly eye-catching features of this house is a long narrow corridor with a vaulted ceiling leading from the entrance hall – past the kitchen and dining room – to the main living room area which is flanked by impressive, classical-style stone columns and floor-to-ceiling windows overlooking the courtyard. The living room is just a couple of broad steps down from the dining room and also overlooks the orange blossom courtyard through large French windows. It also has stunning panoramic views of the valley below and the white village of Gaucín perched on the cliff tops in the distance. 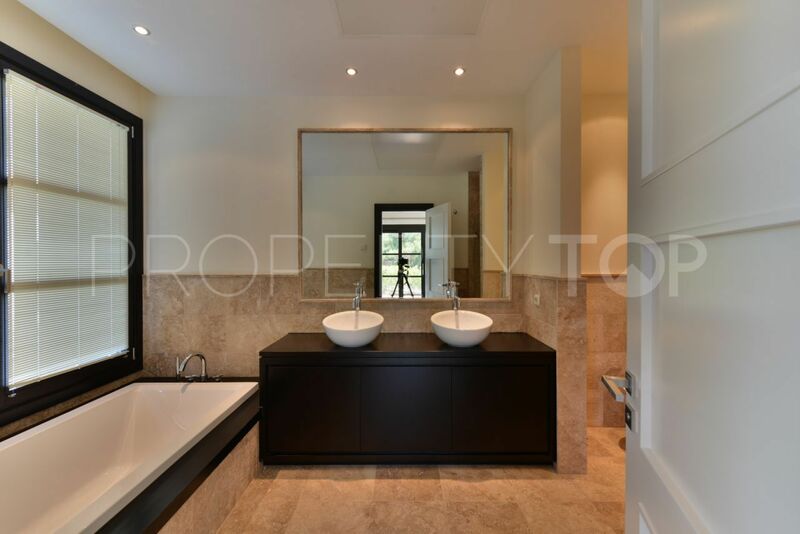 An elegant staircase finished in aged Italian Travertine marble with a dark hardwood and glass bannister leads to the upper floor, which comprises of the main bedroom with its walk-through dressing area and impressive marble bathroom suite. This bedroom enjoys views of the dramatic backdrop of Sierra Crestellina mountain behind the house. A second main guest suite shares the upper floor, complete with a built-in hardwood wardrobe space and private bathroom suite. 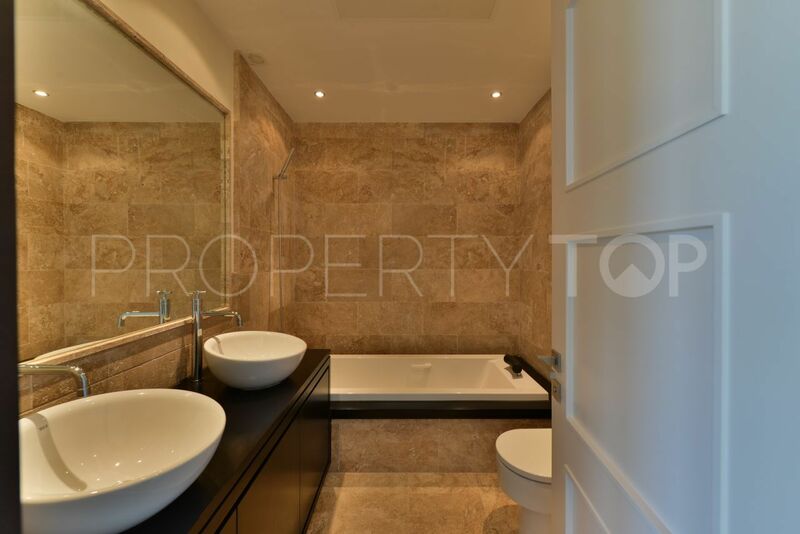 Lovely landscaped Mediterranean gardens replete with a large saltwater swimming pool complete this superb property. 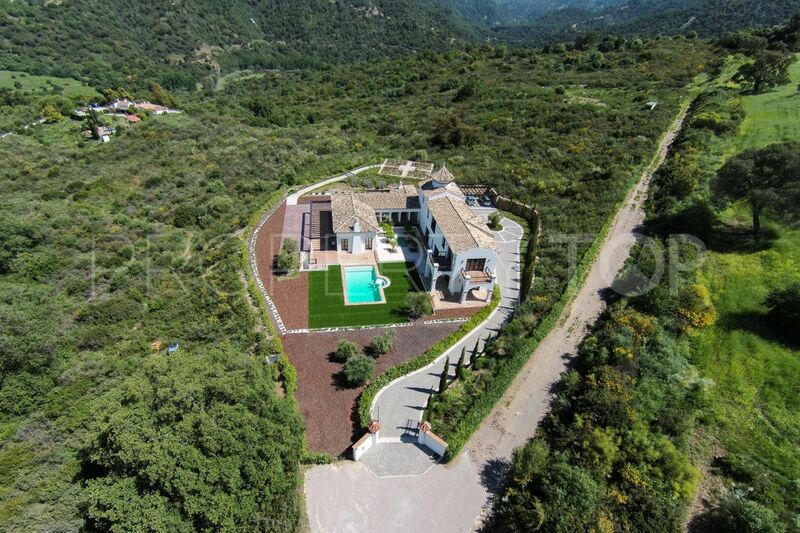 Please, send me more information about ref 186-2749P in Gaucin or similar properties. 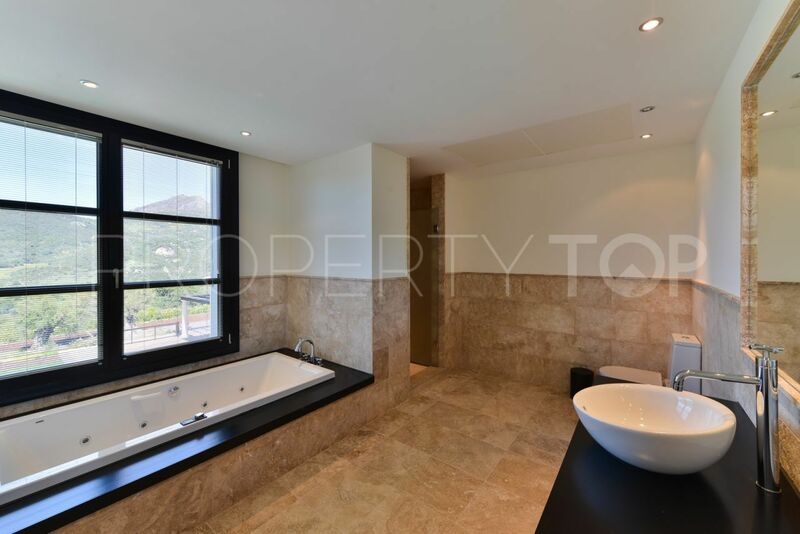 Need Advice buying this property for sale in Gaucin? 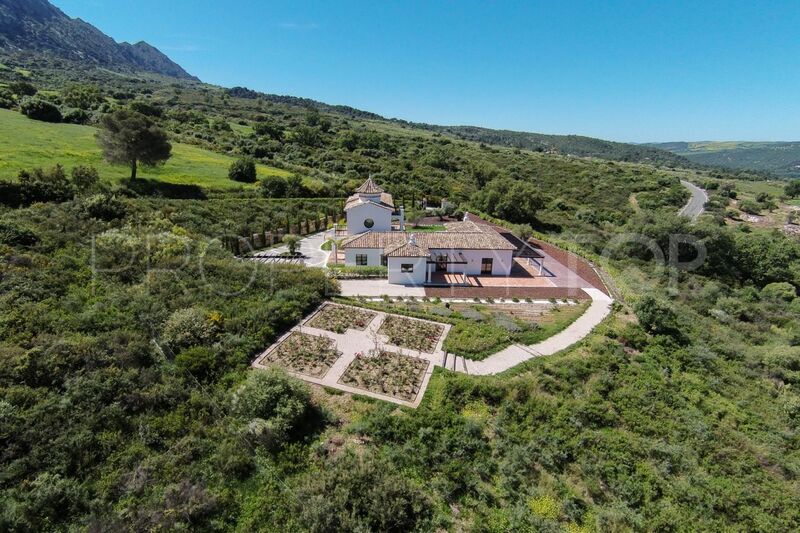 Disclaimer This is a property advertisement (REF 186-2749P) provided and maintained by Villas & Fincas, Carretera de Casares - Barriada Los Ponis, Nº8 B 29690 Casares Málaga, and does not constitute property particulars. Whilst we require advertisers to act with best practice and provide accurate information, we can only publish advertisements in good faith and have not verified any claims or statements or inspected any of the properties. PropertyTop.com does not own or control and is not responsible for the properties, website content, products or services provided or promoted by third parties and makes no warranties or representations as to the accuracy, completeness, legality, performance or suitability of any of the foregoing. We therefore accept no liability arising from any reliance made by any reader or person to whom this information is made available to.